I was born and have lived most of my life in Hong Kong, and whenever I travel to the other two members of the Nylonkong triumvirate I see immediate connections. 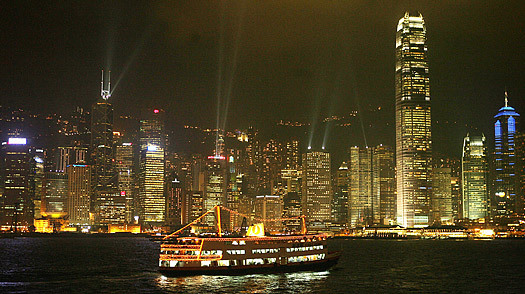 But if you really want to compare the soul of Hong Kong to that of another Western place, it's not New York or London. It's Sicily, of all places. Like us, Sicilians are islanders  tough and maritime. They have known colonization, revolution and emigration. They have their cosa nostra, we have our triads. Both the Sicilians and the Cantonese are obsessed with seafood, smuggling, secrecy and saving money. O.K., Hong Kong isn't The Godfather, but pay attention as you work through our list below: There's a hint of Palermo in the hilly, narrow alleyways of old Central and in the shirtless, tattooed men lounging in Kowloon doorways. The city of Hong Kong may rub shoulders with New York and London, but its feet still dangle in the brackish water of a sultry, southern port.